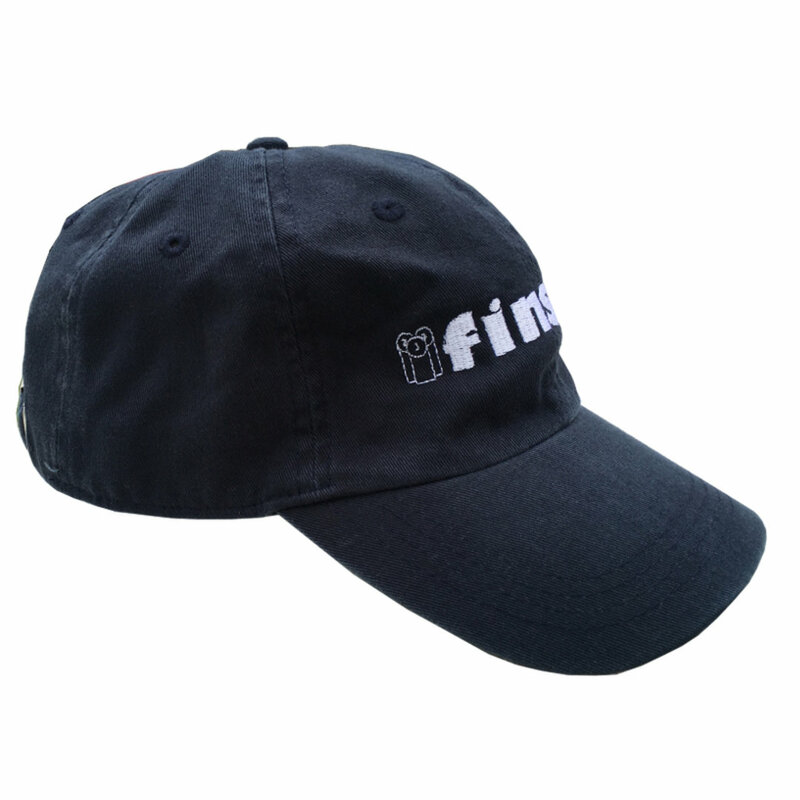 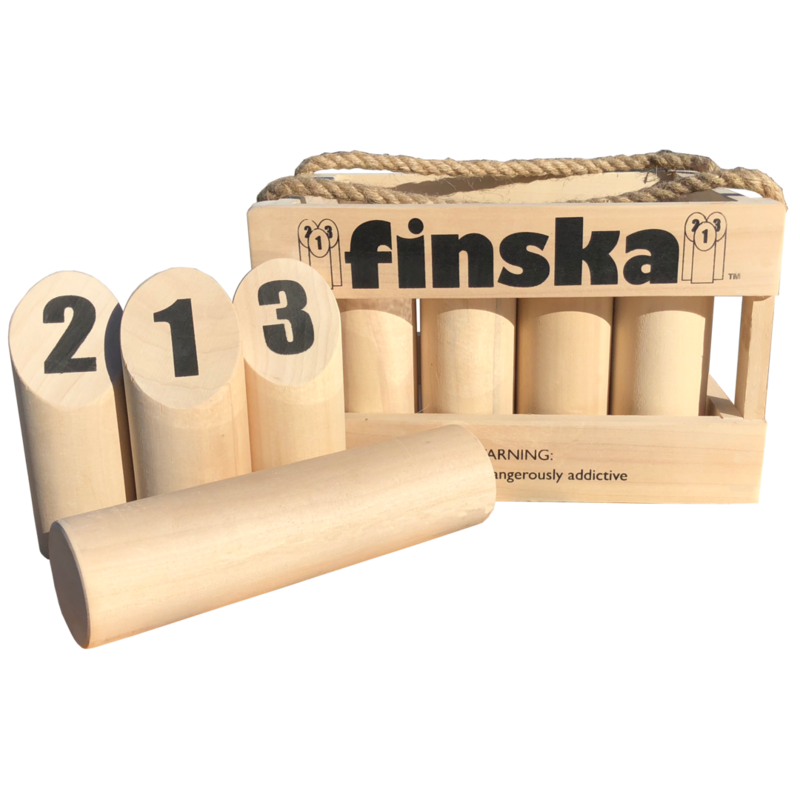 Finska Preemio is our premium version of Finska. 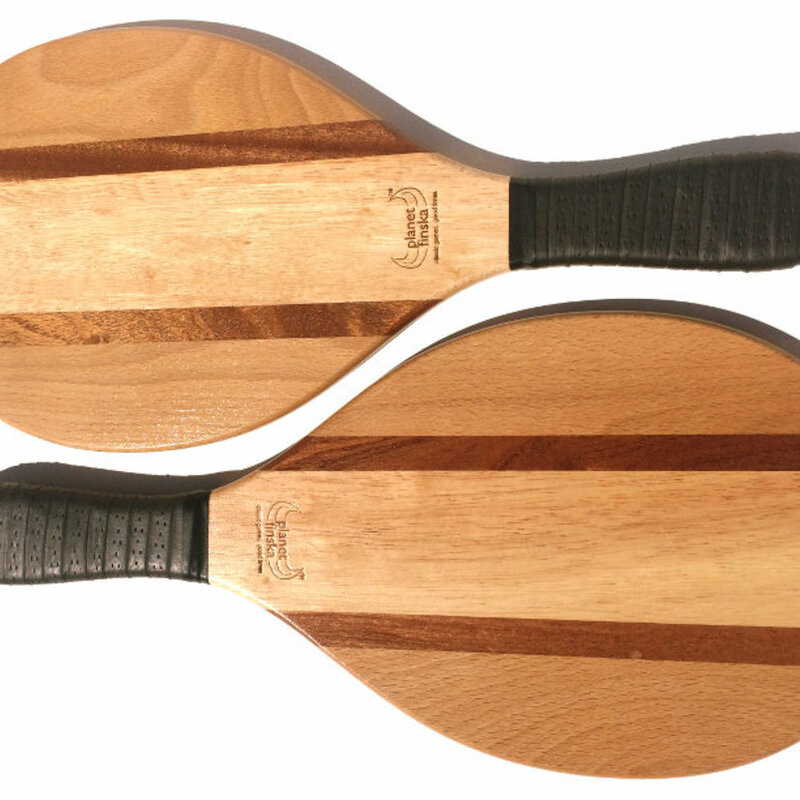 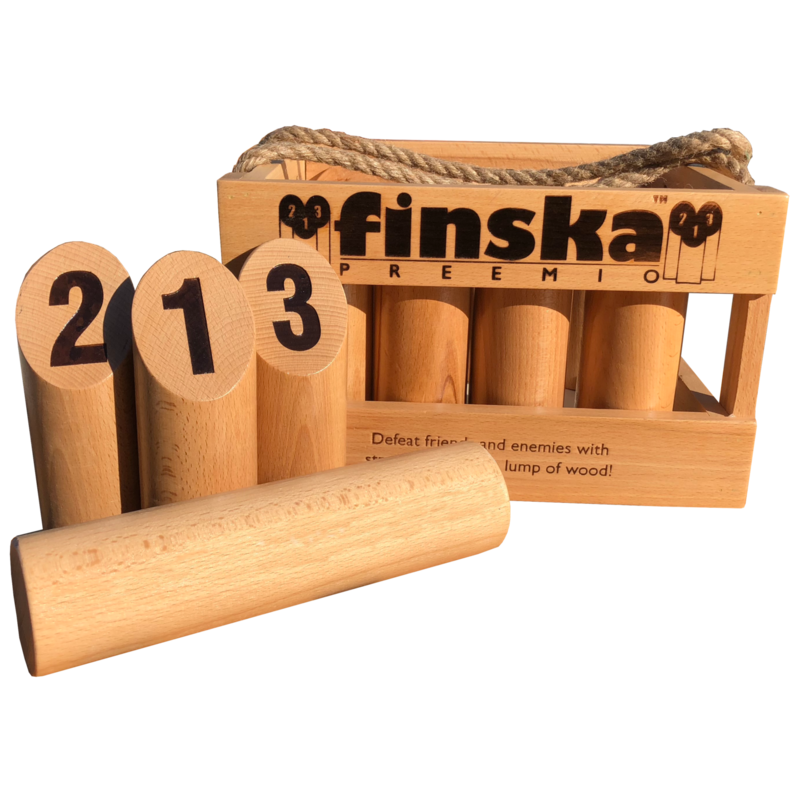 Crafted from premium beech, Finska Preemio has a stunning high gloss varnish finish to provide added protection against grass stains and timber dehydration. 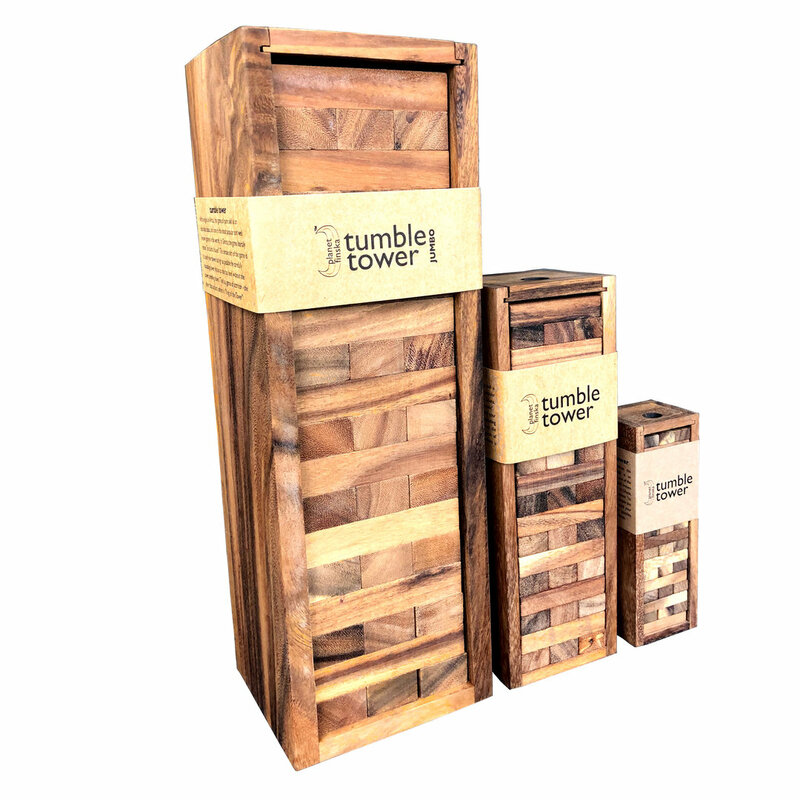 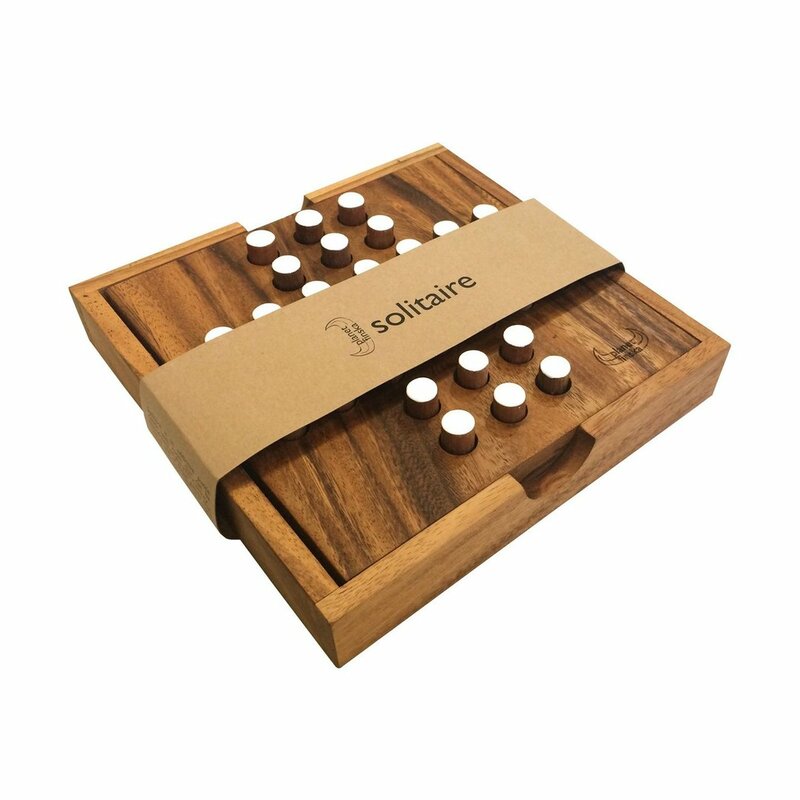 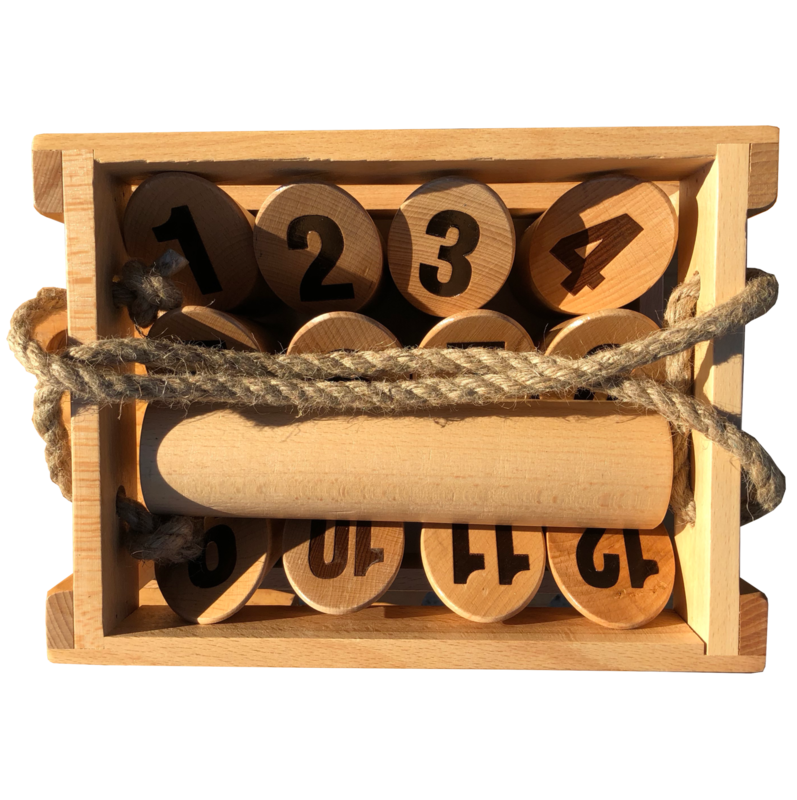 Crate artwork and numbers are fittingly branding ironed for that premium look. 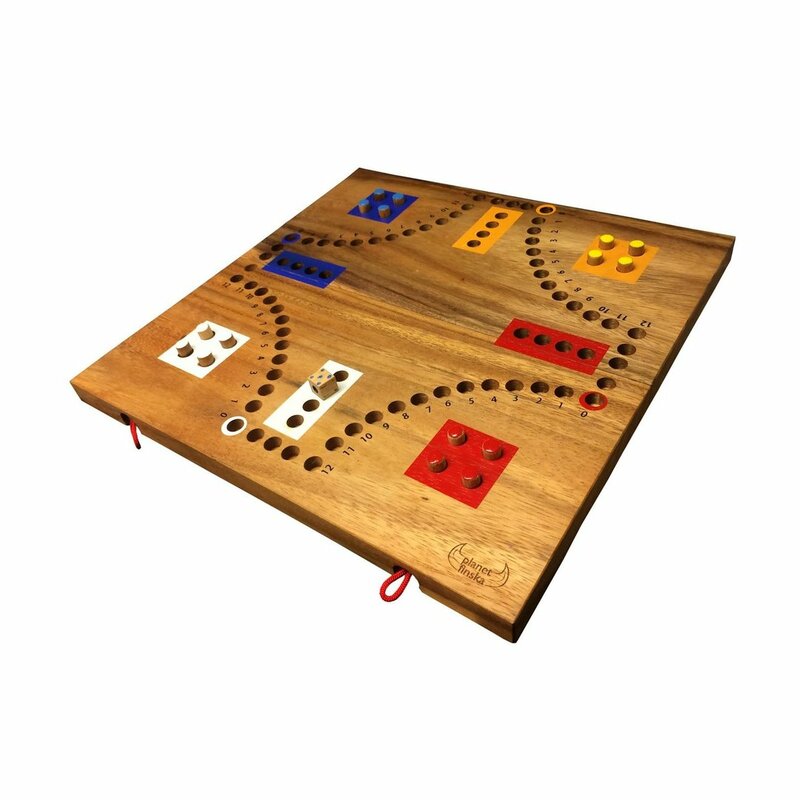 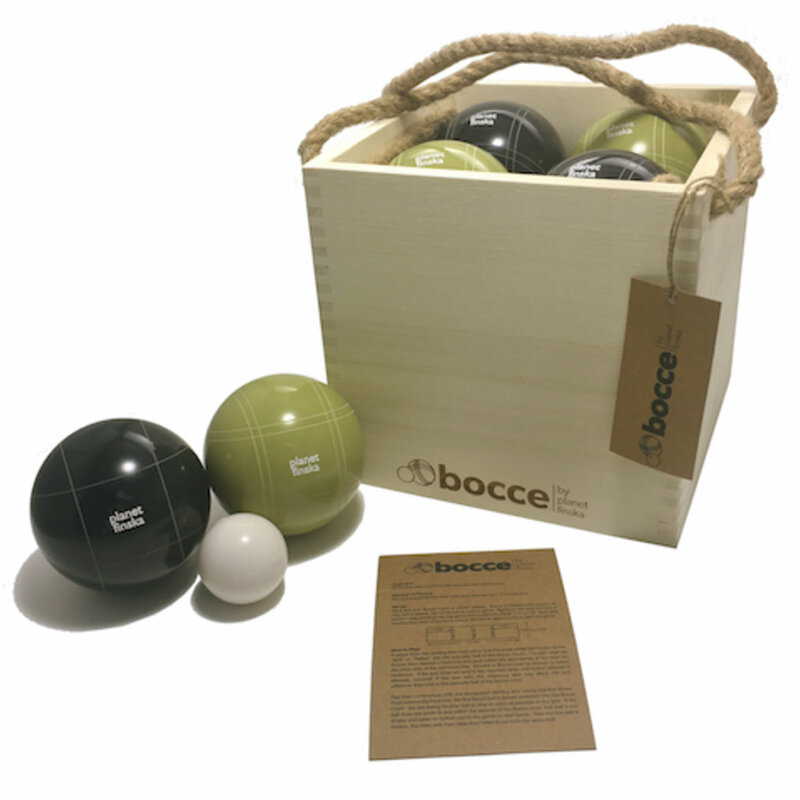 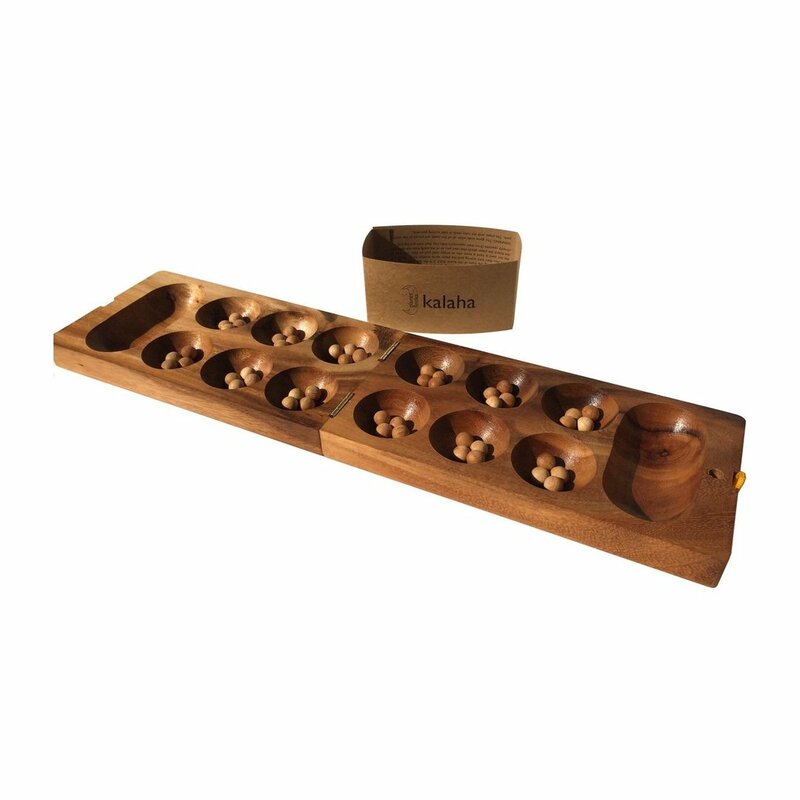 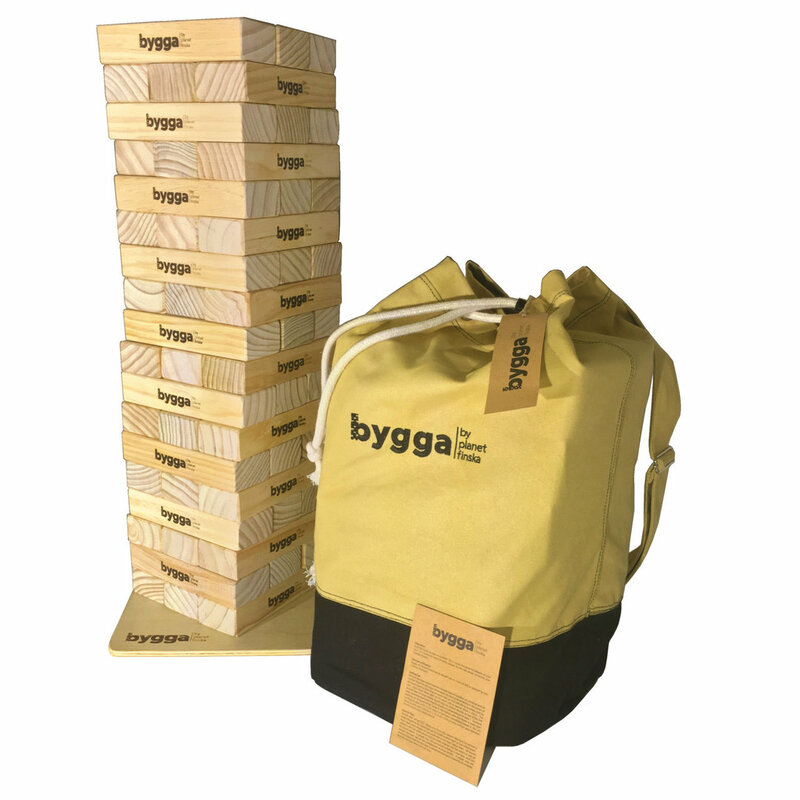 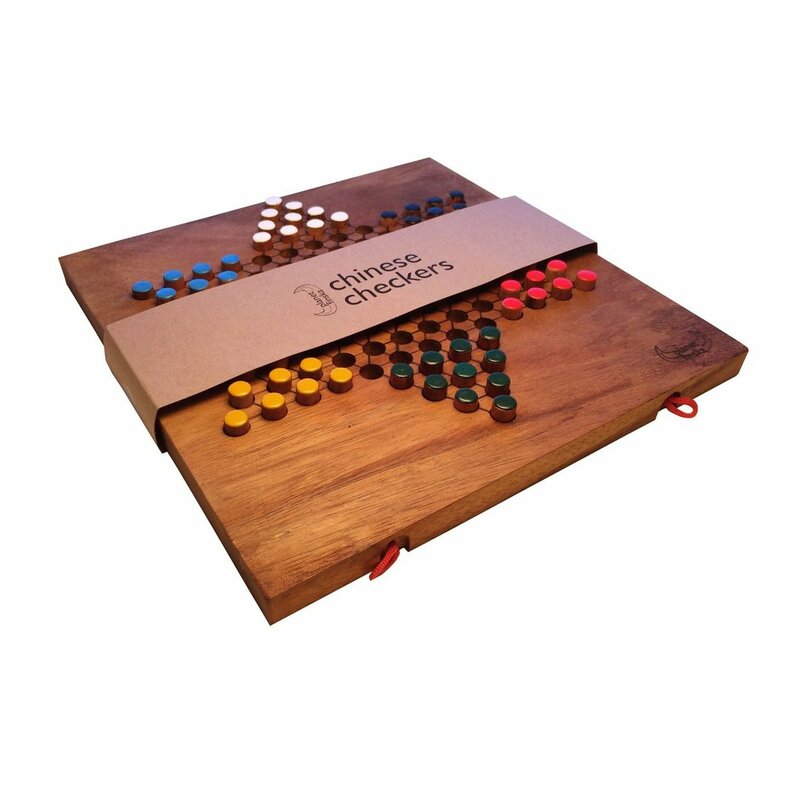 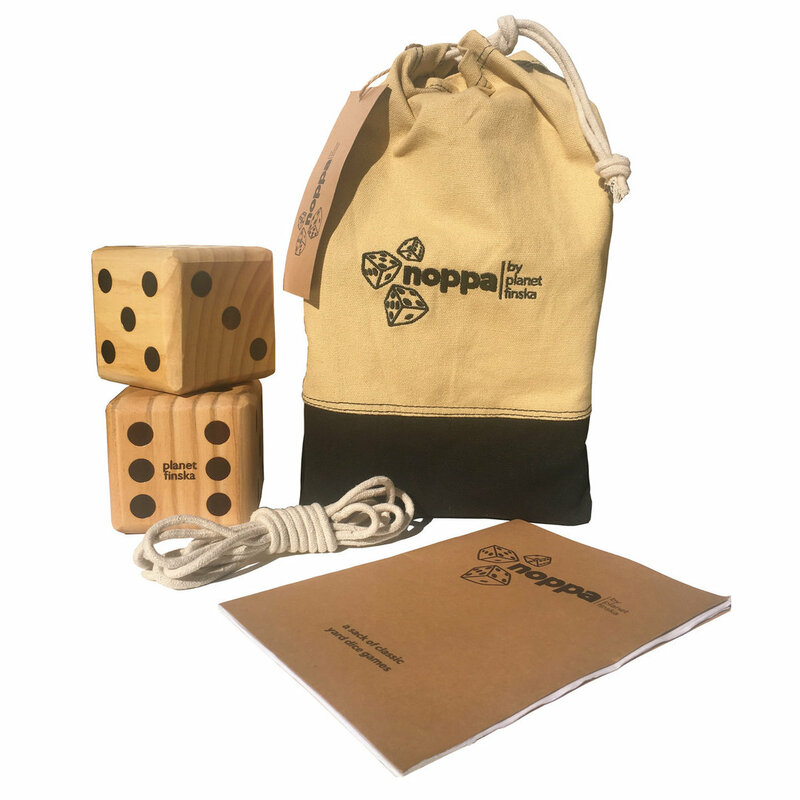 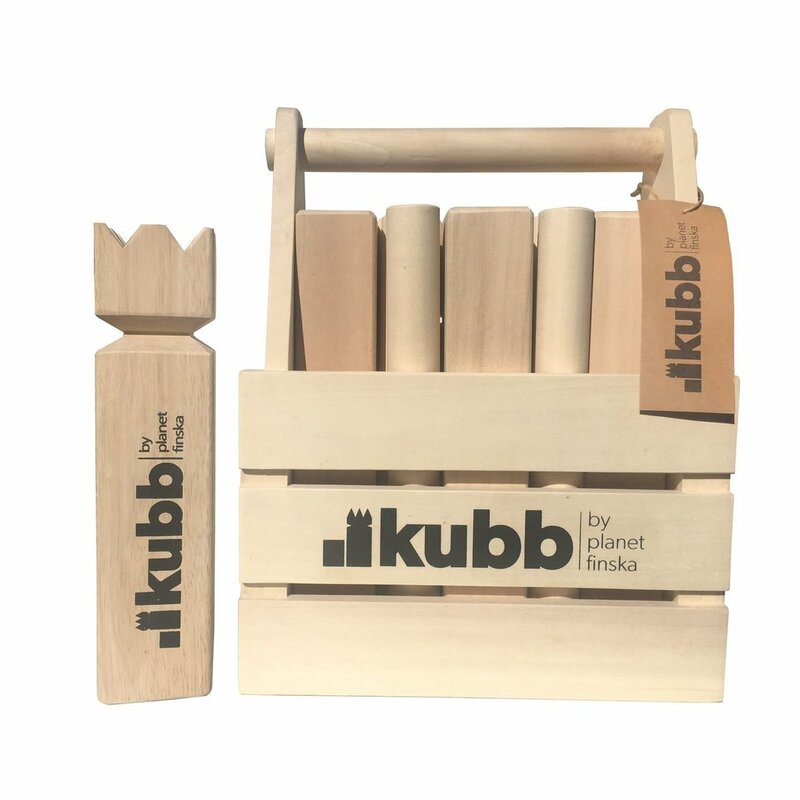 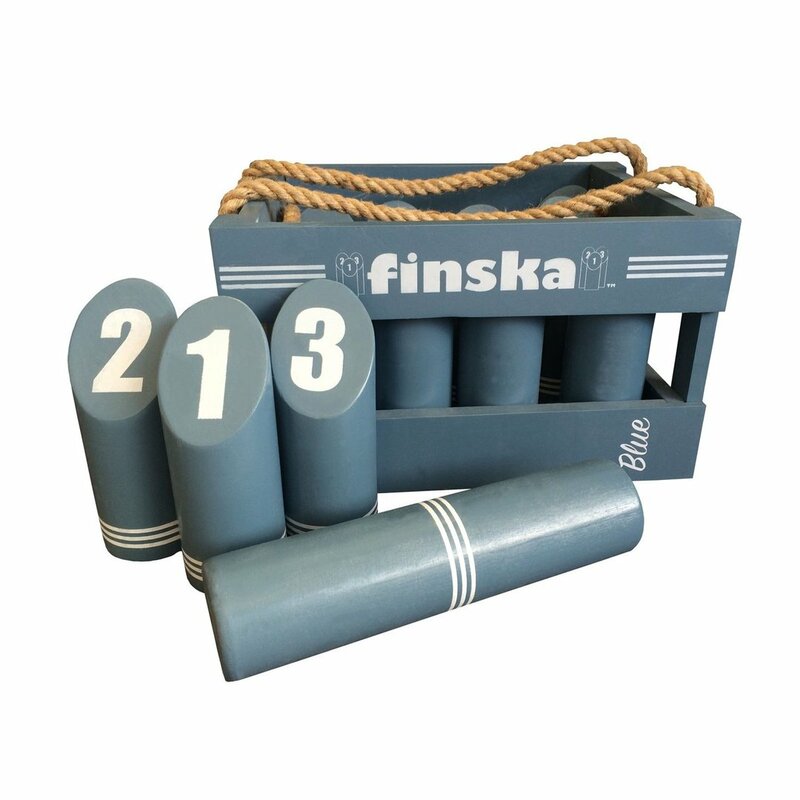 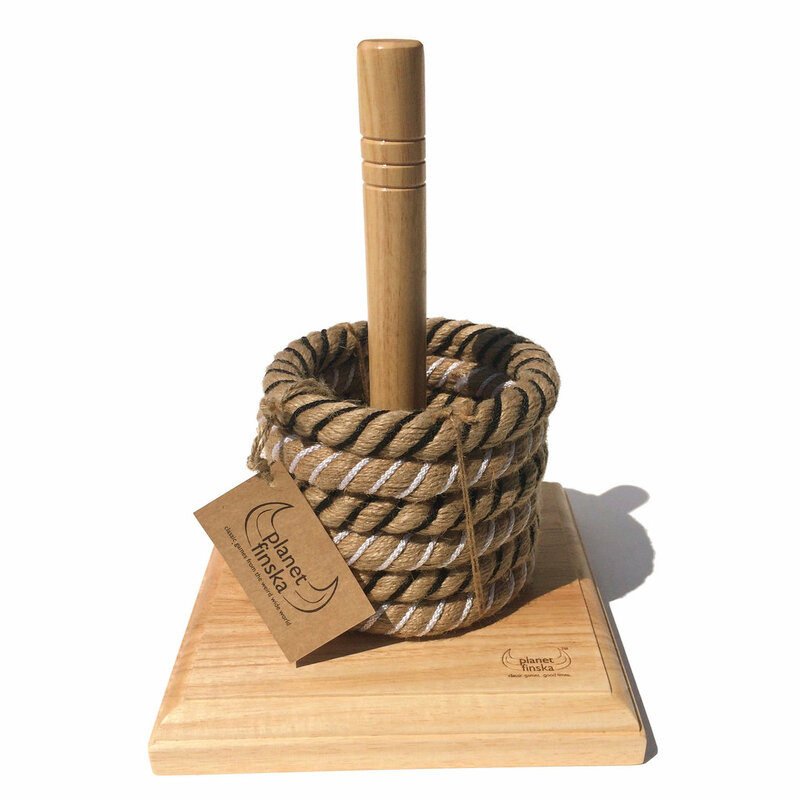 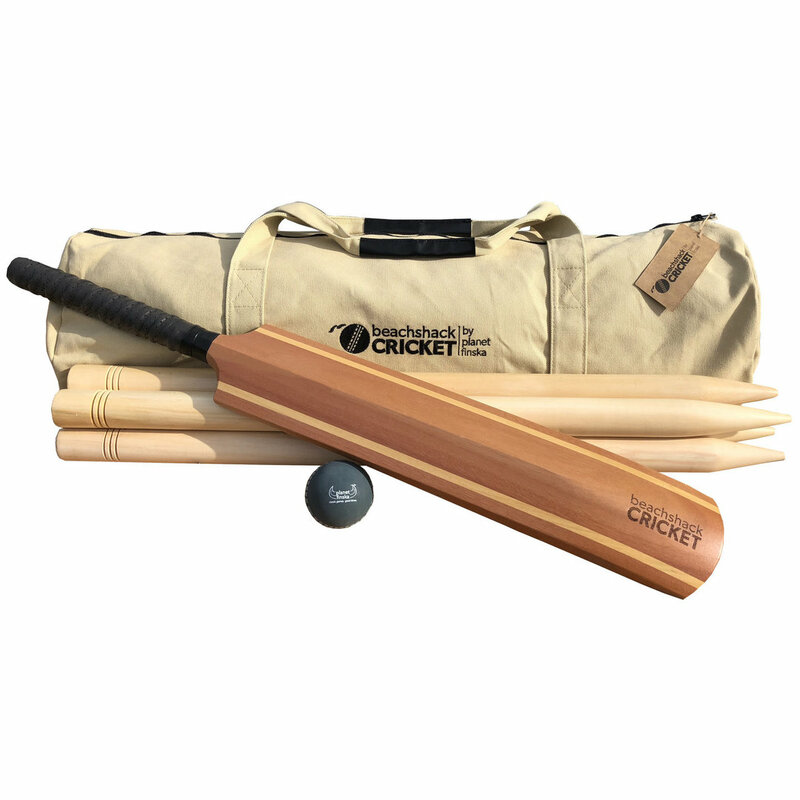 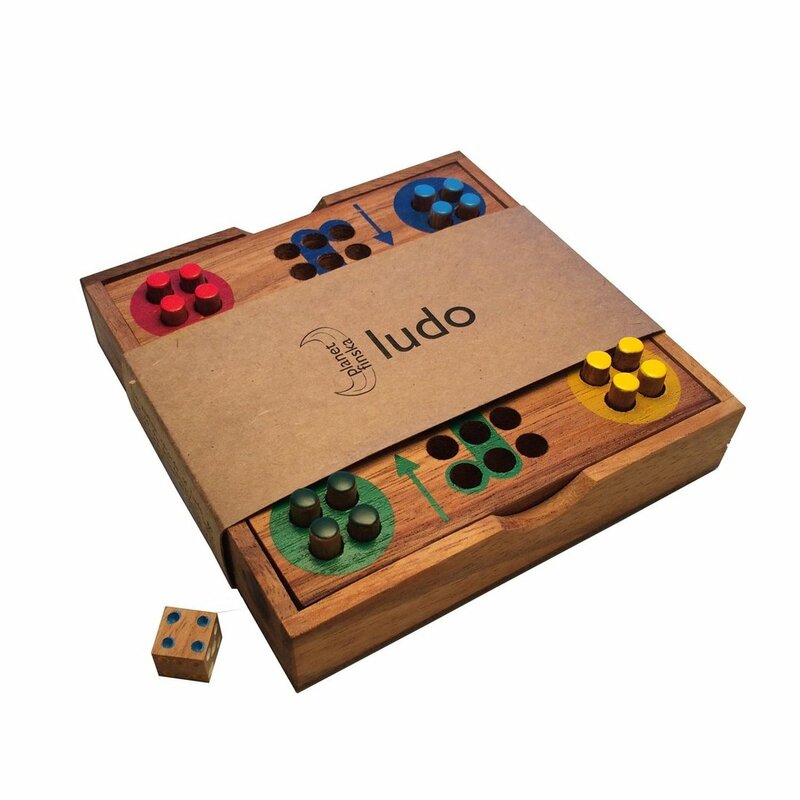 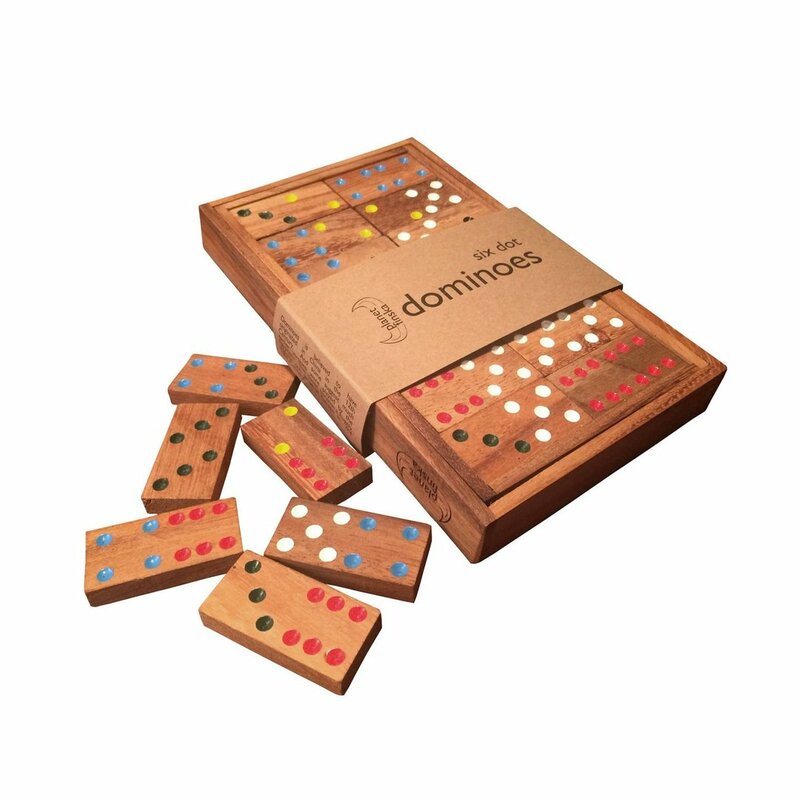 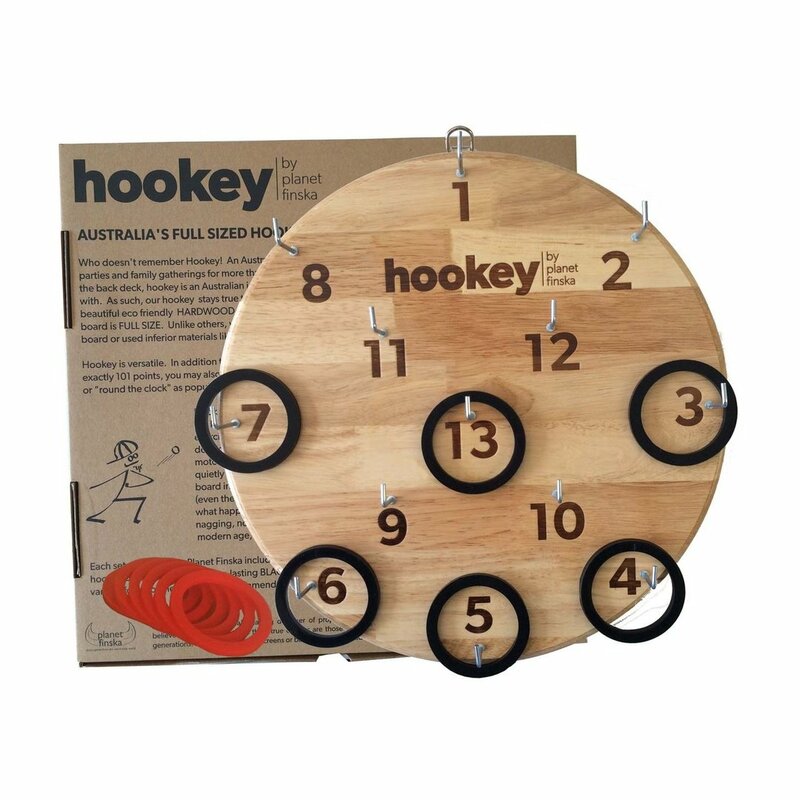 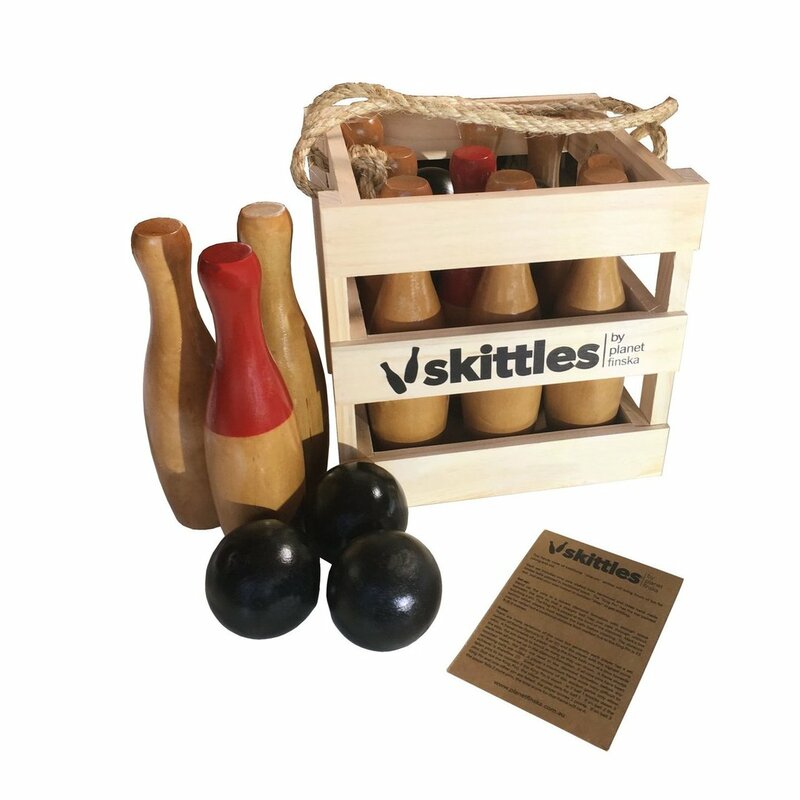 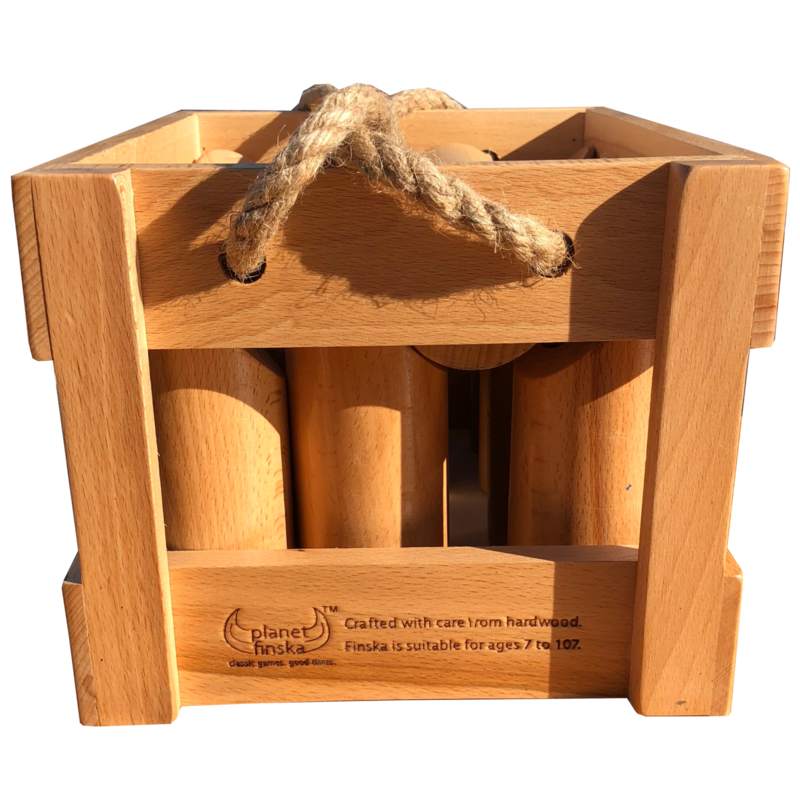 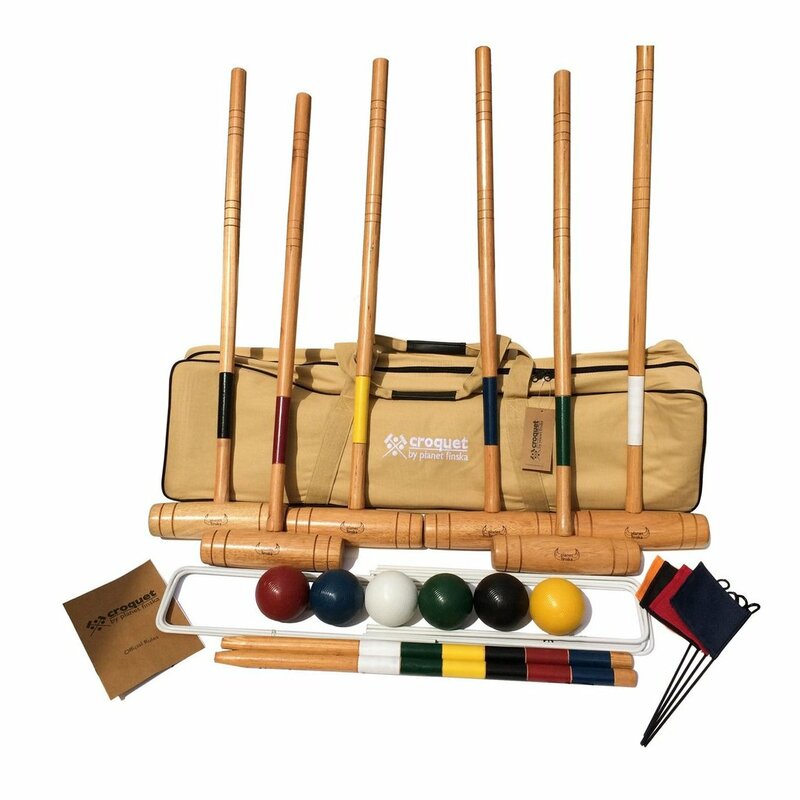 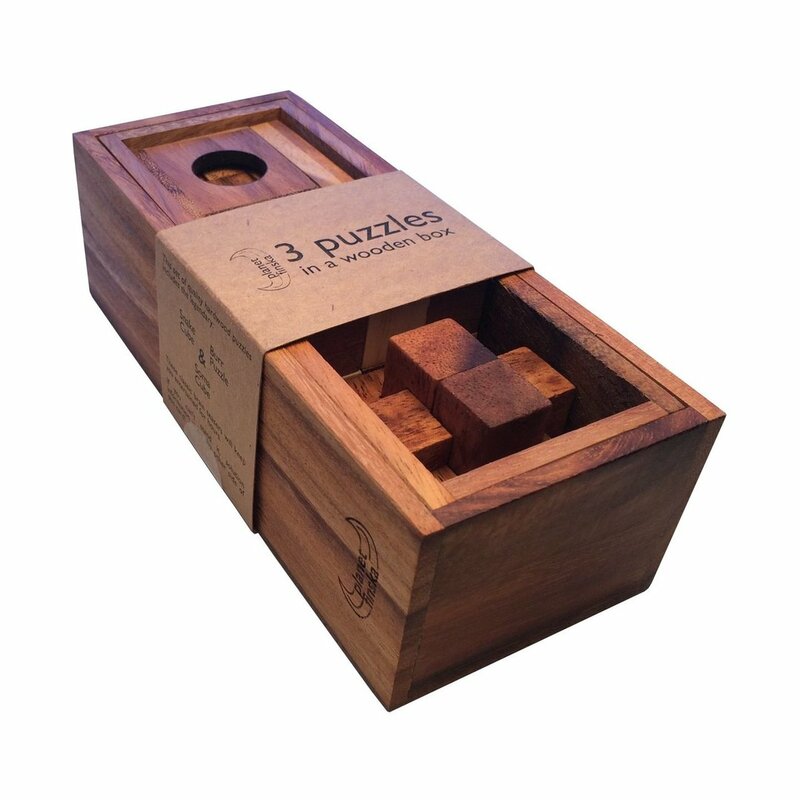 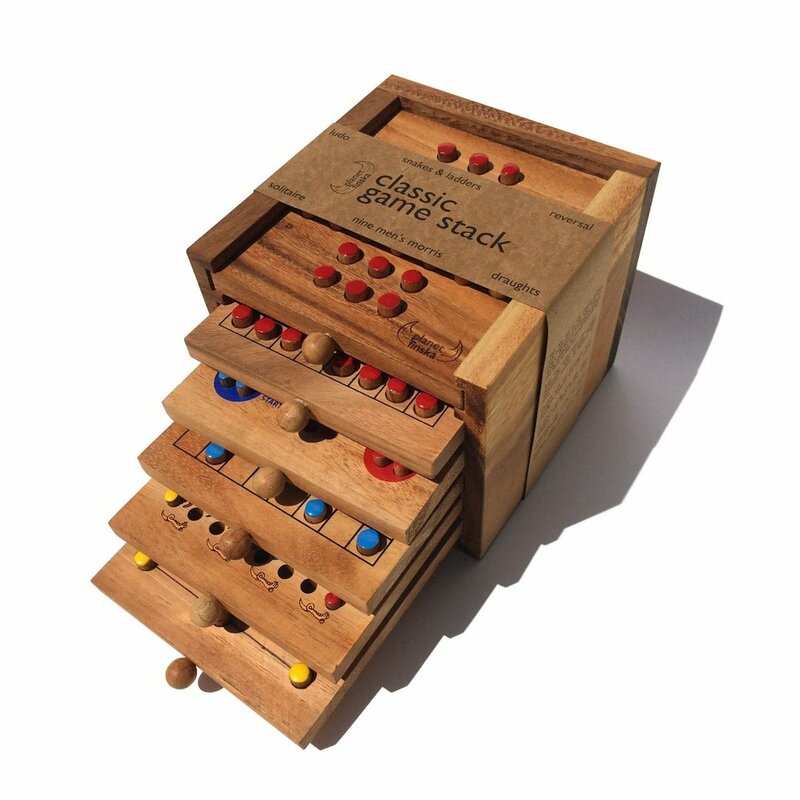 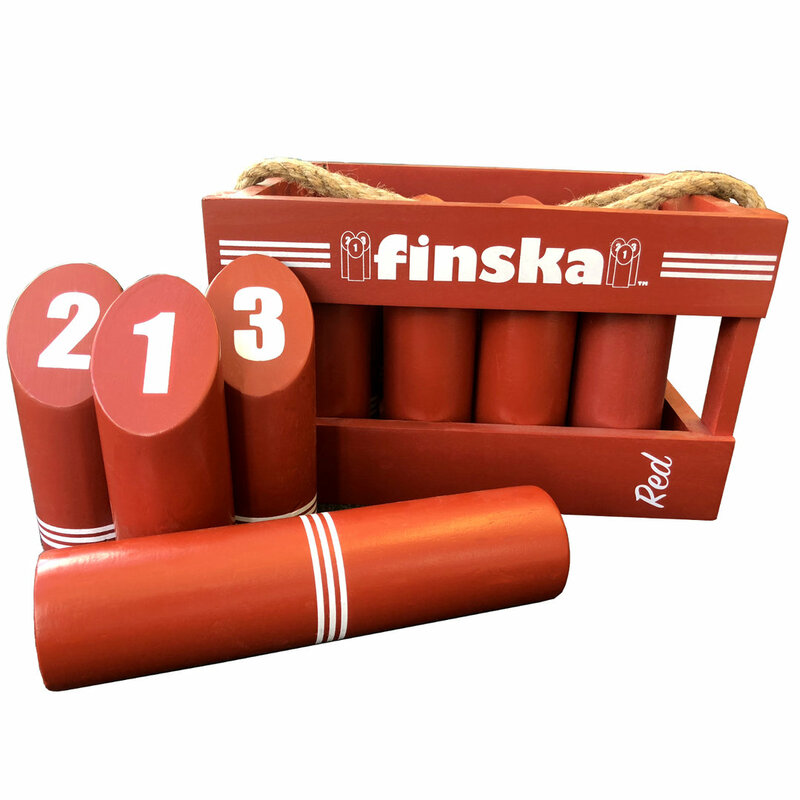 Finska Preemio comes with varnished hardwood carry crate, we numbered pins, throwing log as well as laminated rules and scorecard.